Time Table for Crossing Border The Hague. Gavin Friday headlines the Royal Stage between 11pm-midnight on Friday, November 18th. 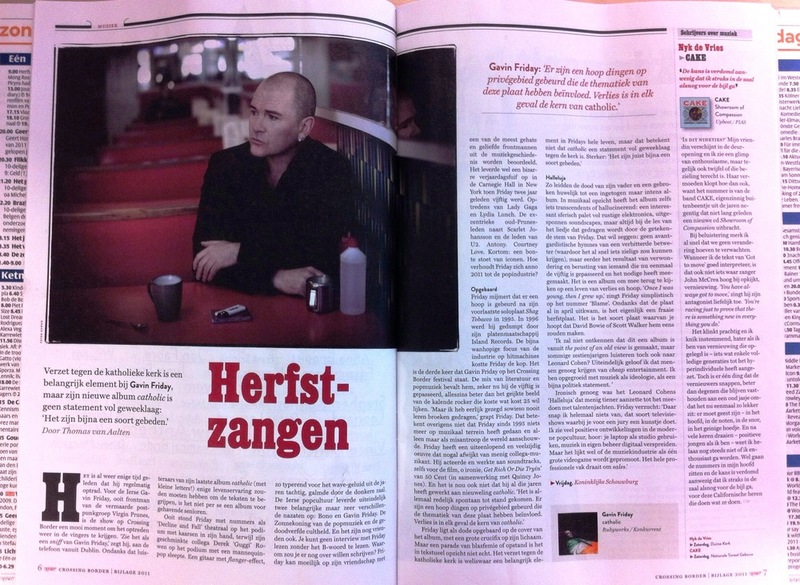 Gavin Friday has recorded U2’s The Fly for Q Magazine’s Achtung Baby covers album, “AHK-toong BAY-bi Covered”, in celebration of Achtung Baby’s 20th anniversary. The covers album will come as a freebie with Q issue #305, out on October 25. America! You can now finally buy your very own ‘catholic’ CD as it is officially out in the USA today.